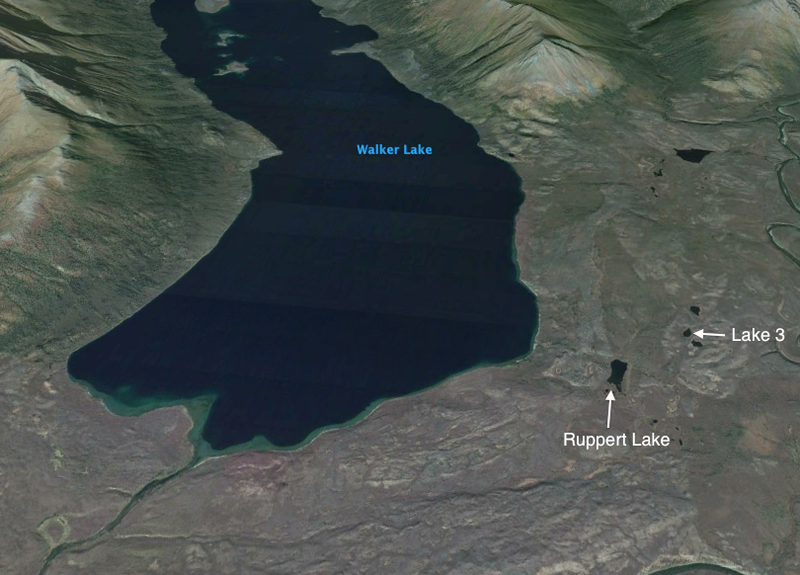 We have taken sediment cores from Ruppert Lake and an unnamed lake (Lake 3) located in the south central Brooks Range near Walker Lake. Further cores were taken from Jan Lake near Tok, Alaska. The fieldwork took place in summer 2013 and was planned in cooperation with the Alaska National Parks Service. We cored four meters of sediment at Ruppert Lake, two meters at Lake 3, and two meters at Jan Lake. Sediments in Ruppert Lake had many clay/silt layers occuring repeatedly throughout the record (see picture below). Climate has a mean annual temperature of -4ᴼC, with temperatures reaching below -50ᴼC in winter and approximately 25ᴼC in summer. The vegetation is boreal forest in the southern foothills, with dwarf Betula tundra at the summit of the Brooks Range.